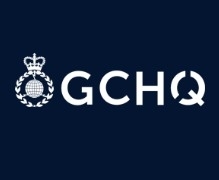 USPA NEWS - The UK and its allies can expose a campaign by the GRU, the Russian military intelligence service, of indiscriminate and reckless cyber attacks targeting political institutions, businesses, media, and sport. 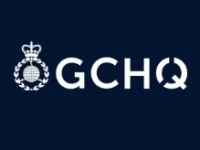 The National Cyber Security Centre (NCSC) has identified that a number of cyber actors widely known to have been conducting cyber attacks around the world are, in fact, the GRU. These attacks have been conducted in flagrant violation of international law, have affected citizens in a large number of countries, including Russia, and have cost national economies millions of pounds. Cyber attacks orchestrated by the GRU have attempted to undermine international sporting institution WADA, disrupt transport systems in Ukraine, destabilise democracies and target businesses. This campaign by the GRU shows that it is working in secret to undermine international law and international institutions. The UK and its allies are once again united in demonstrating that the international community will stand up against irresponsible cyber attacks by other Governments and that they will work together to respond to them. The British Government will continue to do whatever is necessary to keep it's people safe. "These cyber attacks serve no legitimate national security interest, instead impacting the ability of people around the world to go about their daily lives free from interference, and even their ability to enjoy sport. "The GRU’s actions are reckless and indiscriminate: they try to undermine and interfere in elections in other countries; they are even prepared to damage Russian companies and Russian citizens. This pattern of behaviour demonstrates their desire to operate without regard to international law or established norms and to do so with a feeling of impunity and without consequences. "Our message is clear: together with our allies, we will expose and respond to the GRU’s attempts to undermine international stability."